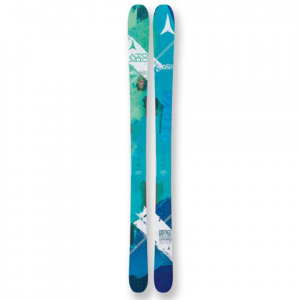 The 2016 Atomic Vantage 95 CTI Skis are a women's specific all-mountain ski designed with an all mountain rocker profile that combines positive camber underfoot with a rocker tip and tail to maximize float in soft snow and control on the hard pack. It's 95mm waist helps keep skiers atop the snow with a full head of steam. Carbon Tank Mesh helps reduce weight and add strength while Firewall Sidewall construction helps maximize edge hold and power transmission throughout.